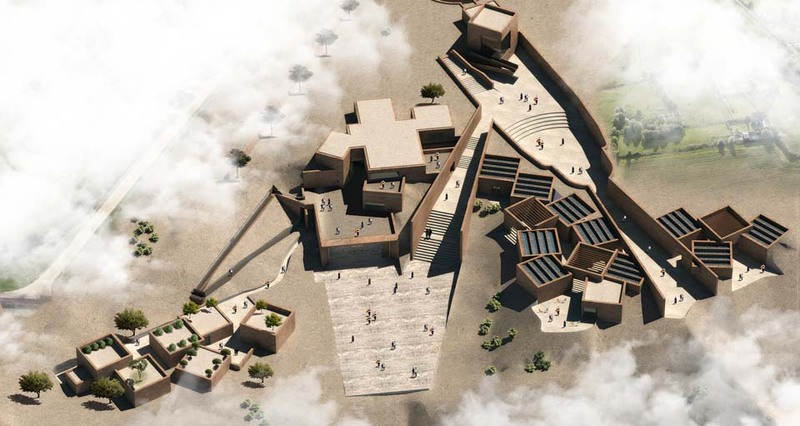 The design of the Bamiyan Valley Cultural Centre is woven into the landscape based on a sensitive and responsive approach to the context and nature of Bamiyan. The basic idea was to design the built to be in consonance with the landscape. It encourages a flow of people through a new cultural core that opens out to the views of the Buddha Cliff. In the design, the void of the Buddha on the cliff is represented horizontally on the ground plane, oriented towards the bigger Buddha of the same scale, hugging the contours. The initial void leads to the creation of space.The void is a cavernous space, a representation of the Buddha Cliff, with the walls framing the view of the Buddha Cliff at a distance. The sculptural court forms an internal street. Unlike a corridor, it is a large open space that allows people to congregate. It is designed to be an extension of the remarkable site. 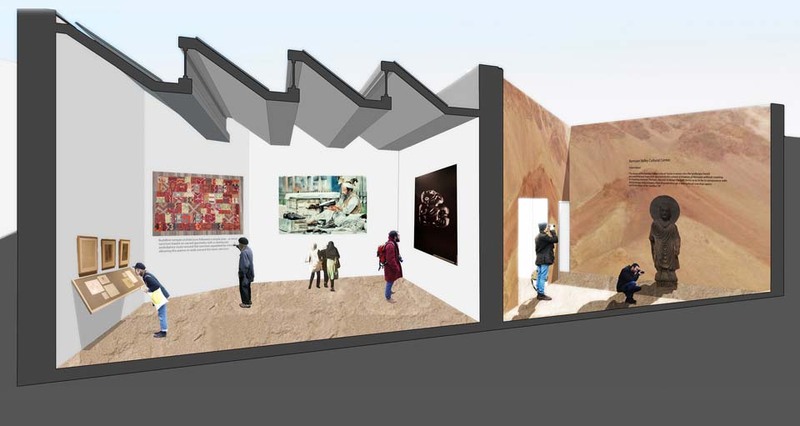 Along with indoor exhibition spaces clustered around this street, the street itself acts as an outdoor exhibition space for sculptures with interactive exhibits. This street terminates into a viewing point towards the larger Buddha enclave. 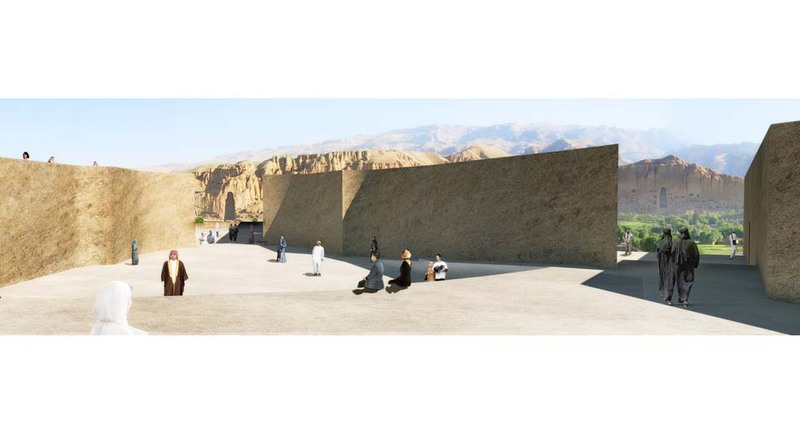 Nestled between bare stone walls from excavation of the earth, the visitor travels along the contours, which form amphitheatres and widen at points into open spaces for cultural performances. This meandering street linking different pavilions represents the Silk Route that passed through this region creating a connection between the West and the East.